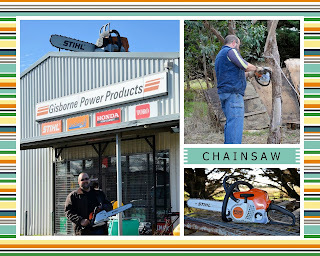 We bought our first chainsaw from a pawn shop in Charmhaven, about five years ago. It stretched the budget at the time but served us very well for our camping trips. Nick had a lot of fondness for it, which was obvious when we called into Gisborne Power Products for replacement parts - and it made better financial sense to trade-in our faithful friend on a new model, the Mini Boss! The chains from our old saw can be used to create several spare chains, which will be handy. Nick is definitely liking the you-beaut titanium chain though - which we thought would be of great benefit during our Yowah trips, where the wood is infamous for blunting chains in record time! The drawback is that the titanium chain can't be sharpened at home with the kit purchased back in July 2010). 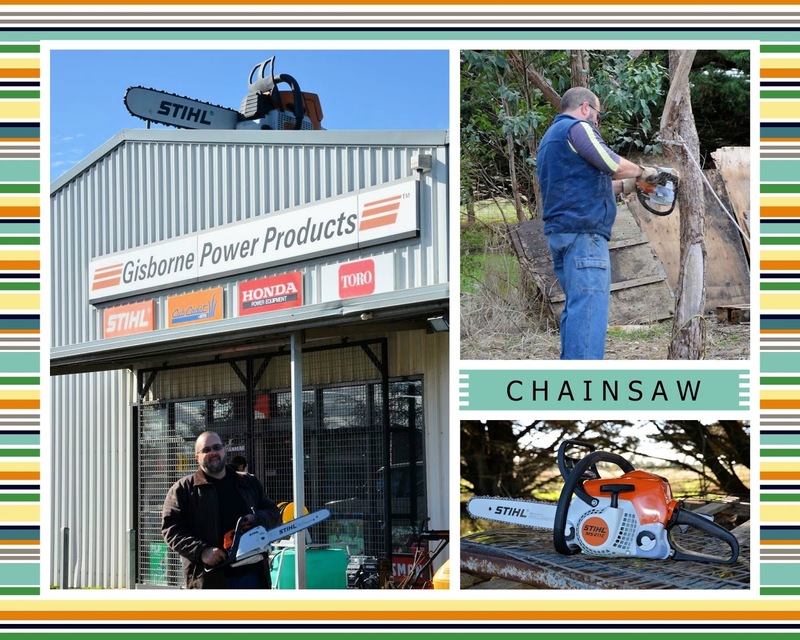 As a giggle, I have just now discovered that Stihl Australia offers two chainsaw ringtones for free download! Nick currently has a copy of Elmer's klaxon horn for his phone but praps he might be tempted? !